Antiy CERT recently found a new variant of ransomware TeslaCrypt, named TeslaCrypt 4.0, it has many characteristics, such as: do not modify the original file name after encryption, against security tools, own a PDB path, self-start through CMD, use unconventional function call, the same domain name can download multiple ransomware, etc. 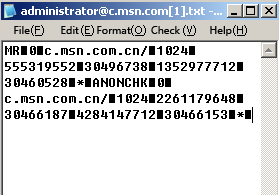 In particular, common ransomware will modify the extensions of encrypted files after infecting victim hosts, such as TeslaCrypt early version (.vvv,.mp3,.ccc、.abc,.ttt, etc), other ransomware Locky, CTB-Locker（.Locky，.oinpgca）. But the latest variant of TeslaCrypt will do not modify the original file name extensions after encryption. Ransomware TeslaCrypt was found in February, 2015  which is modified on the basis of Cryptolocker. In its first version, TeslaCrypt claimed to use asymmetric encryption algorithm RSA – 2048, but it actually used symmetrical AES encryption algorithm, and then Cisco released a decryption tool that can decrypt files that is encrypted by TeslaCrypt when key. dat file is found ;But in the subsequent multiple versions, ransomware TeslaCrypt began to use asymmetric RSA encryption algorithm and the encrypted files cannot decrypt without a key. 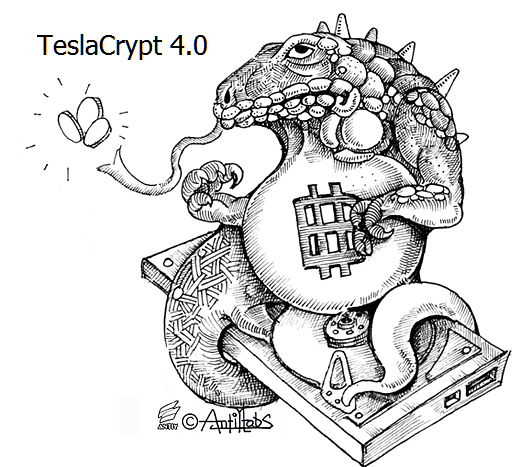 Antiy CERT found that TeslaCrypt 4.0 emerges in March 2016 and use RSA – 4096 encryption algorithm. The emergence of ransomware is associated with many factors, and one important factor is the high maturity of anonymous Internet and anonymous payment. After the Spring Festival of 2016, ransomware Locky started to outbreak and many global security vendors have released corresponding reports. 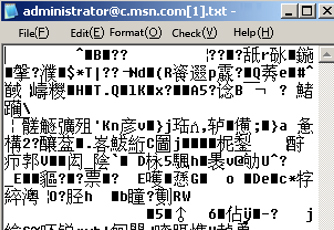 Antiy CERT also released “the first Bitcoin ransomware ‘Locky’ with Chinese prompts” . At the end of March 2016, G-data and Trend Micro released the report of Petya ransomware that modifies MBR and encrypts entire hard disk; In early April 2016, Antiy CERT began to track ransomware TeslaCrypt 4.0. 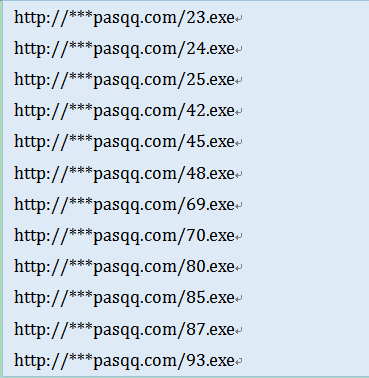 Ransomware TeslaCrypt uses website drive-by download and E-mail to transmit. Drive-by download is rarely used in domestic, but browser vulnerabilities (Chrome, Firefox, Internet Explorer), Flash vulnerabilities and Adobe Reader vulnerabilities are common ways to transmit; And E-mail is often used to transmit ransomware and multiple ransomware events found by Antiy CERT are also transmitted by E-mail. In addition, the ransomware addresses in other domain names are the same as above, such as: 23.exe, 24.exe, 25.exe … 93.exe. To April 7, 2016, 14, Antiy CERT found more than 50 domain names with ransomware TeslaCrypt 4.0, part of which have expired. Antiy CERT had found nearly 300 ransomware TeslaCrypt 4.0 in total. The researchers analyzed some newly found samples. After being executed, it will copy itself to % Application Data % folder, renamed as wlrmdr.exe, set itself property as hiding, and then use CreateProcessW to create process. The samples use CreateThreadt to start thread and encrypt all files in disk in the newly created process. First, samples use GetLogicalDriveStringsW to obtain all logical drives and use FindFirstFileW and FindNextFileW to traverse all files and encrypt. The encrypted function address is 0x0040190A. After encrypting with RSA4096 algorithm, it calls WriteFile to write the encrypted data to the file without modifying file name. The sample has PDB information with the file name “wet problem i yuoblem i_x.pdb”. The sample calls RegCreateKeyExW, using CMD to start its own code to be written into the registry. Therefore, it can be started with the powerboot. The sample uses many unconventional function calls and skips to prevent security staff to analyze the virus. The ransomware poses great threats to both individual users and enterprises. The encrypted files cannot be restored, which will bring great loses for users. If you want to solve the threat problems of ransomware, you should install security products, protection and backup products. In addition, users should pay more attention to the mails that they have received, open the email attachments or click the links carefully, especially the emails from strangers. Antiy Intelligent Endpoint Protection System (IEP) can prevent the ransomware from encrypting files when users clicked to operate the ransomware by mistake. Antiy Threat Analysis System (PTA) can identify unknown ransomware automatically.